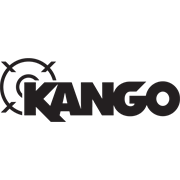 Fasten stronger and longer with hex ball-end fasteners from Kango. 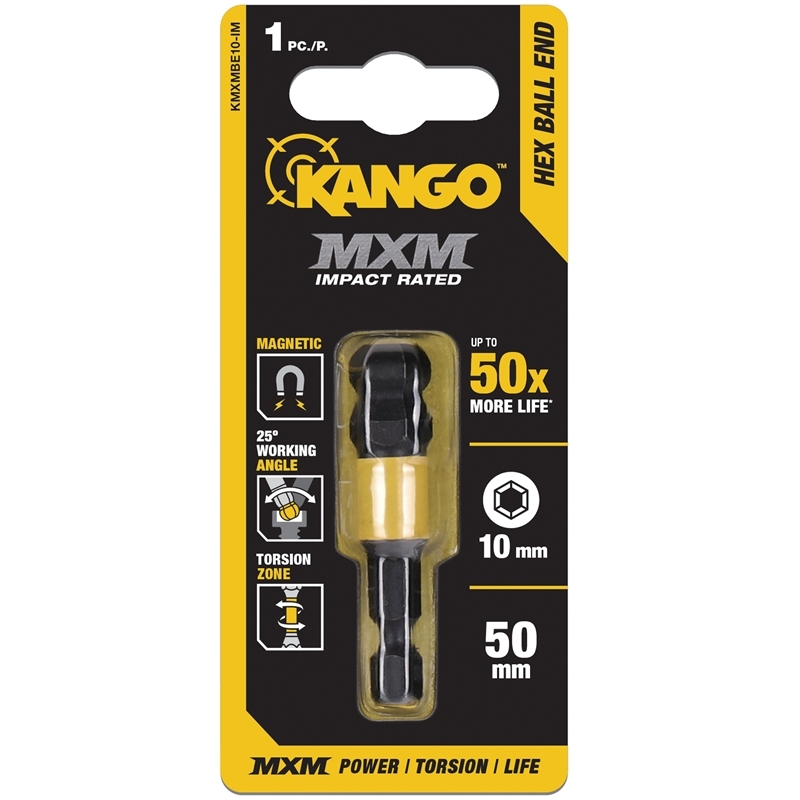 The 50mm 10mm MXM hex ball-end bit provides up to 50x more life than leading trade brands. 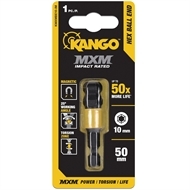 Constructed in a multi-stage process, including four heating stages, these durable bits deliver the perfect balance between hardness, flexibility and magnetism. Featuring the MXM torsion zone, extreme torque peaks are safely absorbed. 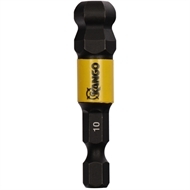 Complemented by magnetism, this reduces cam outs and secures a strong screw hold. The 25° working angle allows you to reach and fasten awkward screws effectively. This keeps you adaptable on any jobsite. 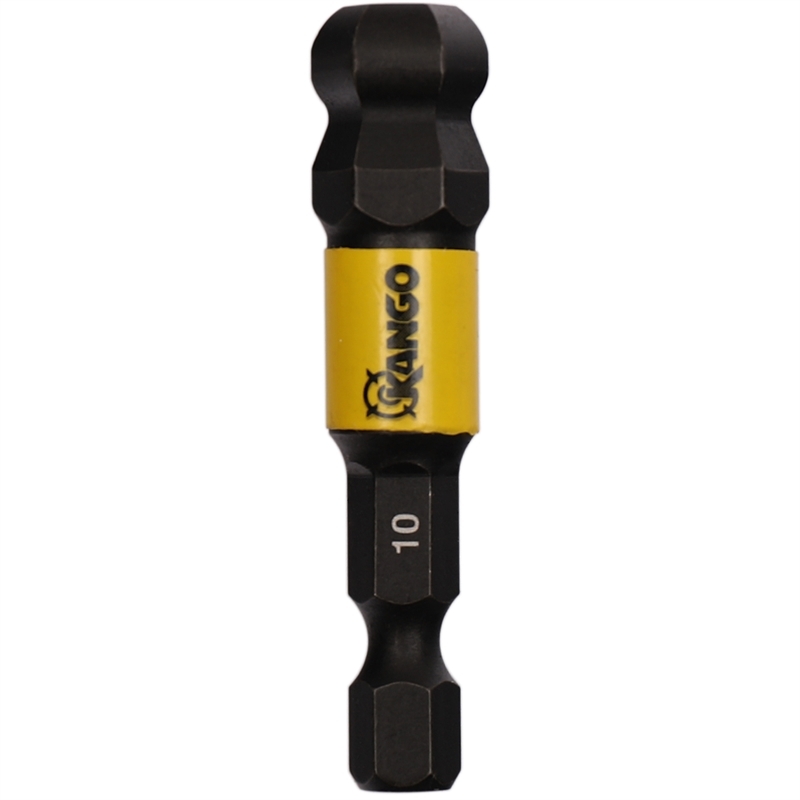 Add this hex ball-end bit to your bit collection today.